One of the most beautiful Paris photoshoots we have ever done, with one of the most beautiful couple and their even more beautiful love story. Everything about this photoshoot blew our minds away and you will believe that “fate” exists by the end of their story. It is already difficult to chance upon your soulmate in Singapore with it’s 5 million population, what’s more meeting them across the globe in New Zealand. Ken first saw Caselyn at a bar in Queenstown, New Zealand when he was backpacking and she was on her working holiday. Unfortunately, this miraculous chance meeting wasn’t enough to send sparks flying just yet. They say that opportunity doesn’t knock twice. But as always, love defies all logic, space and time. I suppose it’s difficult to forget an encounter with such a beautiful lady so when Ken saw Caselyn on Tinder 3 months later, he “Super Liked” her immediately. This time, it was mutual and I guess we can say “It’s A Match”! With a love for diving (what are the chances of meeting a fellow diver?! How many divers are there even??? This couple is really defying all rules of the universe), Ken knew he had to do a beach proposal. While having their candlelight dinner at the private beach, Ken played a video specially prepared for Caselyn, where all her friends and family were telling her to “ say yes I do”. 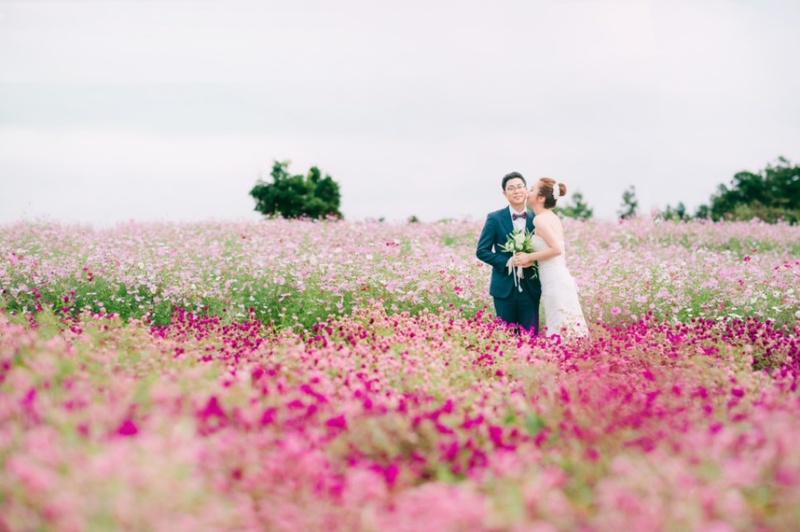 Eventually, he popped the big question and the skies exploded with fireworks, congratulating this special couple that they have painstakingly brought together. OneThreeOneFour is an expert in the field of destination photography and we would love to capture all your most beautiful moments in Paris. Head over to our website to check out our destinations and find out more about our packages! 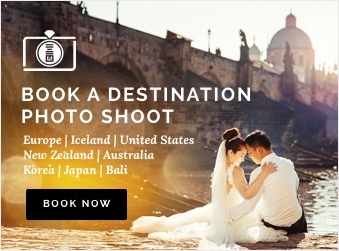 Paris Pre-Wedding Photoshoot Packages: Prices, Reviews And More!